The FB Mondial Motociclistica was founded by Count Giuseppe Boselli in 1948 in Arcore, Italy. Prior to WWII, FB Mondial manufactured motorized tricycles and delivery vans. The name Mondial is French for “world,” while the FB is an acronym for Fratelli Boselli, Italian for Boselli Brothers. There were four Boselli brothers (Carlo, Ettore, Giuseppe and Luigi). Guiseppe, a racing fan, talked his brothers into building a 125cc dual-overhead-cam road race bike in 1948. Amazingly, one year later Mondial won the 125cc World Road Race Championship with Nello Pagani at the controls. FB Mondial repeated as 125 World Champion again in 1950 and 1951 (with Bruno Ruffo and Carlo Ubbiali at the controls). FB Mondial built both two-stroke and four-stroke OHC engines designed by Alfonso Drusiani, Lino Tonti and Fabio Taglioni (of Ducati fame). In fact, Mondial had a desmodromic engine before Ducati, but did not produce it. Their most famous riders included Mike Hailwood, Tarquinio Provini and Carlo Ubbiali. 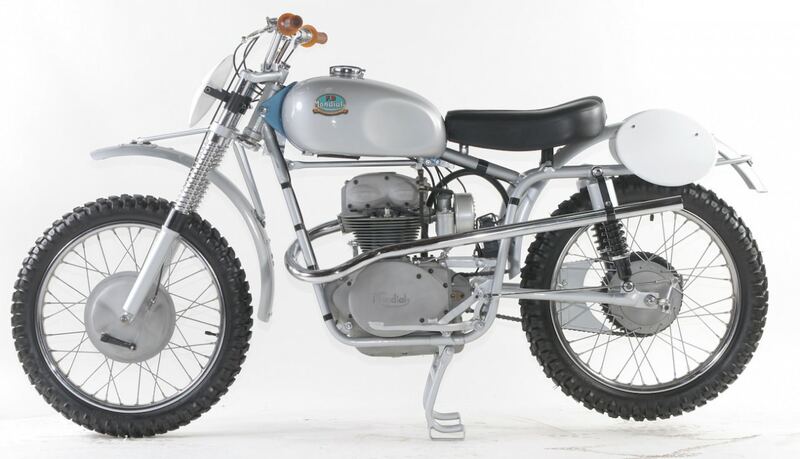 Mondial was primarily a road racing company, but they did manufacture less than ten 125cc motocross machines in the early 1950s for factory riders (and won the 1952 Italian National Championship). 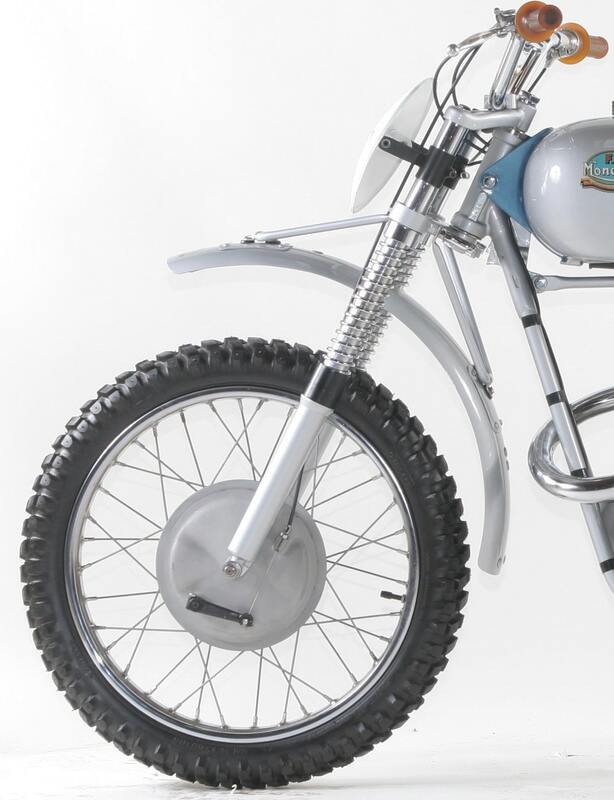 The rarest of all Mondial motocross bikes is the one-and-only 200cc motocross bike built by the factory in 1952 shown on this page. Mondial went out of business several times as investors tried to revive the classic name: first in 1958, then in 1979. It was briefly revived in 1999, only to flounder again, be resold in 2004, and end up in bankruptcy court and litigation in 2005. However, In 2014, Count Pierluigi Boselli, owner of the Mondial brand and descendant of the original founders started to lay the foundation of a project to revive the company. The new generation of small displacement Mondials street bikes are built by Piaggio in China, with Piaggio engines and Mondial styling. 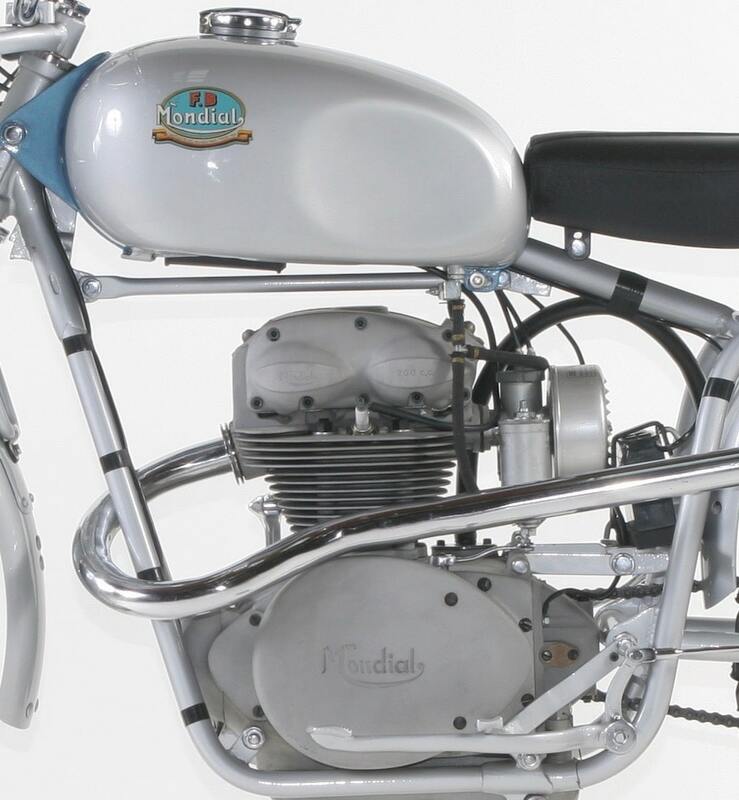 The Mondial 200cc you are looking at was built by a factory employee with the permission of the Boselli brothers in 1952 for campaigning privately. Purchased from Rick Weedon, Edoardo Vannucchi, a well-known motorcycle restorer in Italy, brought it back to original condition. 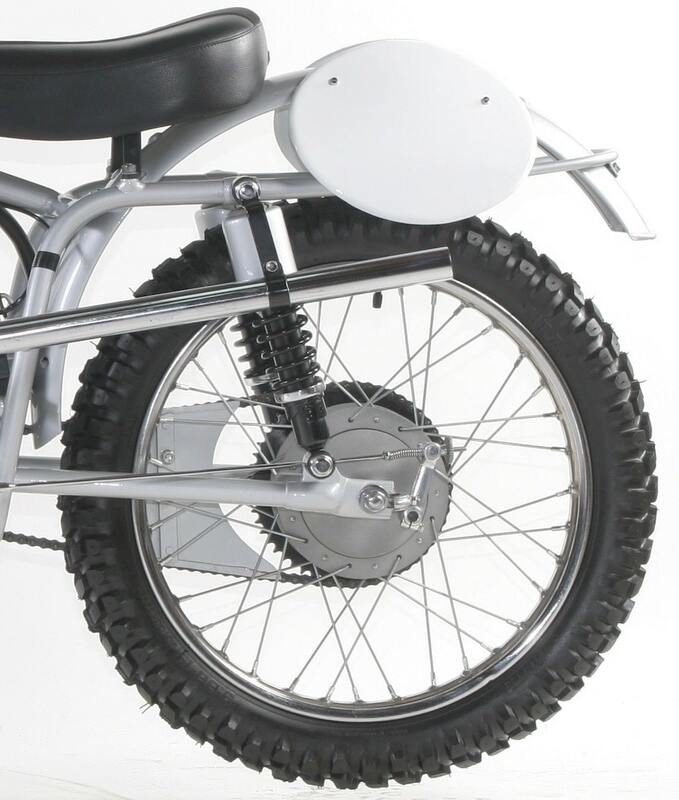 There were only two models of FB Mondial motocross bikes, and total production consisted of a small number of 125cc bikes and the lone 200cc machine. As with all Italian machinery, the engine is jewel-like and the cosmetics alluring. With such a small production run, authenticity of every part is tantamount. A collector’s bike must have all original parts. The best source for Mondial parts, and one of the few sources in the world for rare parts, is Vannucchi Edo & Patty. They can be reached at [email protected]. Edoardo Vannucchi is a Mondial restorer in Rimini, Italy.